Top three picks for sketch challlenge 209! 411 sketch challenge two week's in a row! OK Smartie Pants are you feeling the love now?! Top Three Picks for sketch challenge 207! Monday Lunchtime Sketch challenge 207! 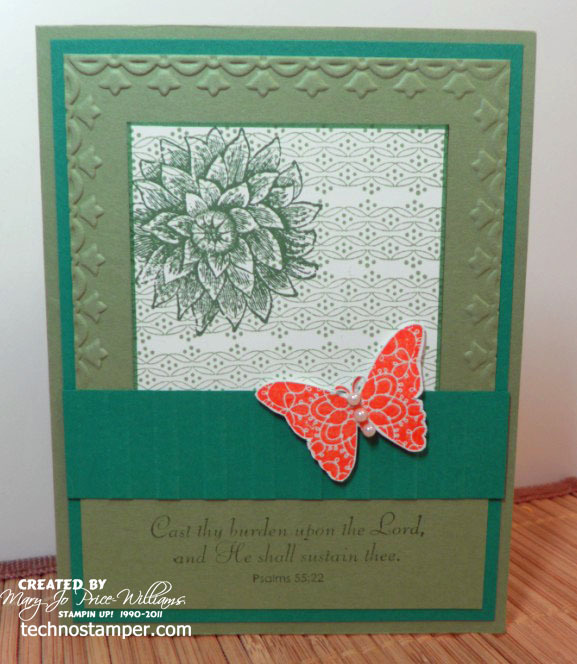 use any shade of green on your projects this week! Again this should be a super easy challenge. 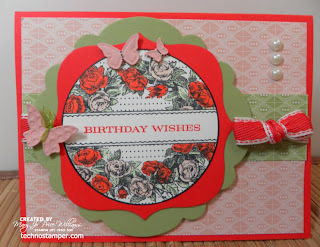 My first card uses Pear Pizzaz, such a pretty green. 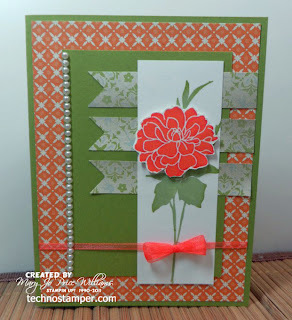 I love it combined with Poppy Parade and this new hostess stamp set Up in the Air! Garden Green and Wild Wasabi. It is so weird how different Wild Wasabi looks when layered on Garden Green, although I couldn't get the best picture--colors was never just right. 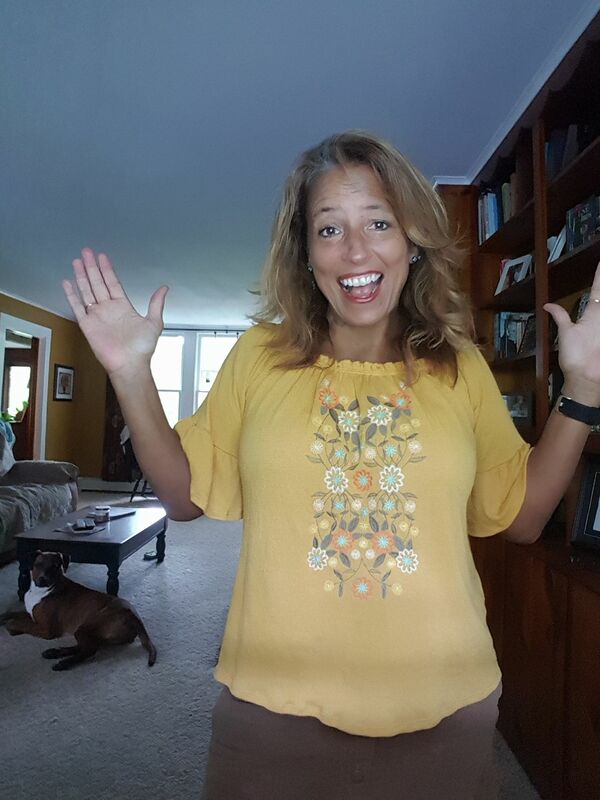 I hope that my samples have inspired you to play along this week! Here are the details for the cards above. 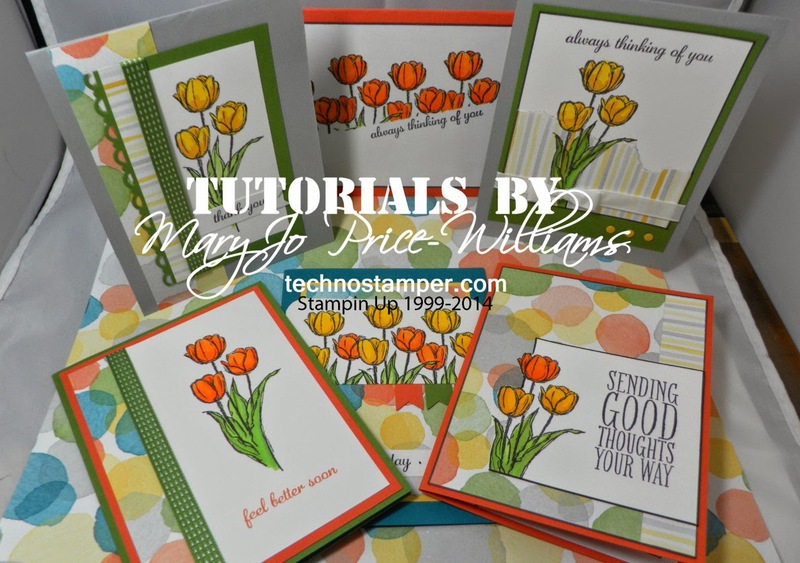 Other: pearls, tulip border embossing folder, stripes embossing folder, pearls. Funny there were not as many entries as usual this week but it was harder to pick then other week! 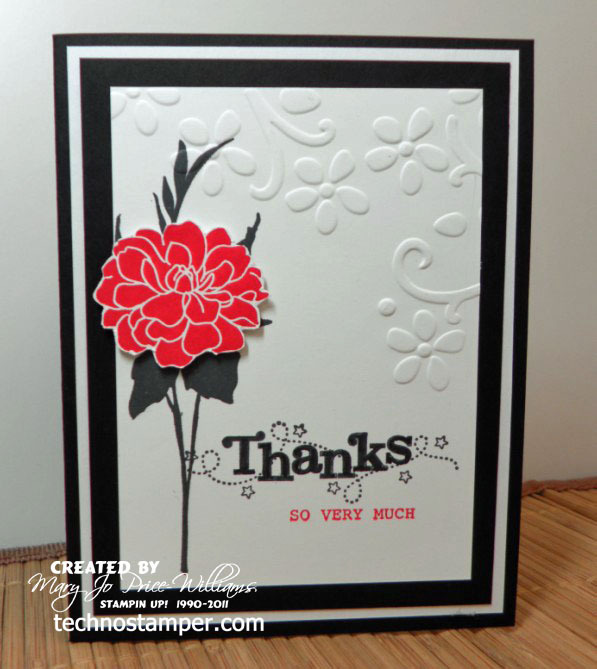 Great samples ladies, thanks so much for playing along. After much back and forth here are the top three in no particular order...as always, if you click on the snippet you will be brought to the creator's blog and the original post containing any details you may want/need! Yeah! I got to play two week's in a row! Feels so get to have crafting time again. Love it. 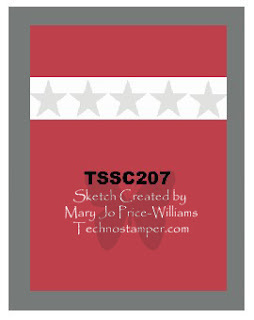 Here is the new sketch if you click on it you will be taken to the 411 blog to see the other samples! My sample is using the new Labels Collection Framelits Dies. I cut the shape out with the die and then rotated it 90 degrees and re-cut the shape again. Then layered it an another full cut piece of a different color. 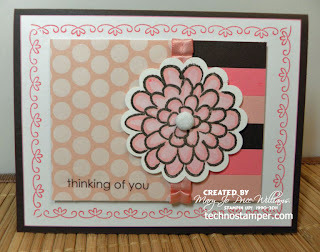 If this does not make sense you can view the tutorial I did for doing this with the Top Note Die--it is the same theory..Fun with the Top Note Die. 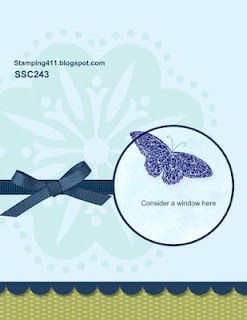 I so love the butterfly embosslit--one of my favorite purchases-each and works with so many things. 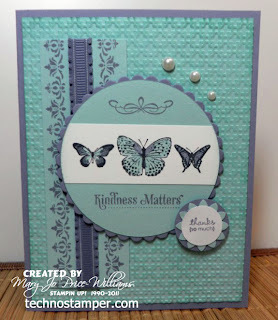 Other: markers, Poppy Parade ribbon, Labels Collection Framelits Die, Butterfly embosslit, big pearls,small piece of SAB ribbon on large butterfly. Yeah! Finally. I have been wanting to start playing along with my friends and finally made it work--now the goal is continue making it work. Come on and play along with us. Lisa our "Boss" has a great challenge for us today. It is a color challenge--black, white and a splash of red! Love it. 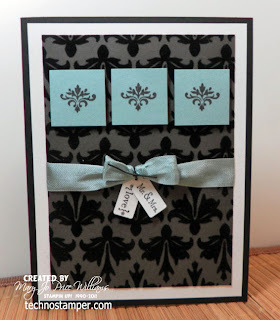 And it is a blog hop too, that means you too can play along! 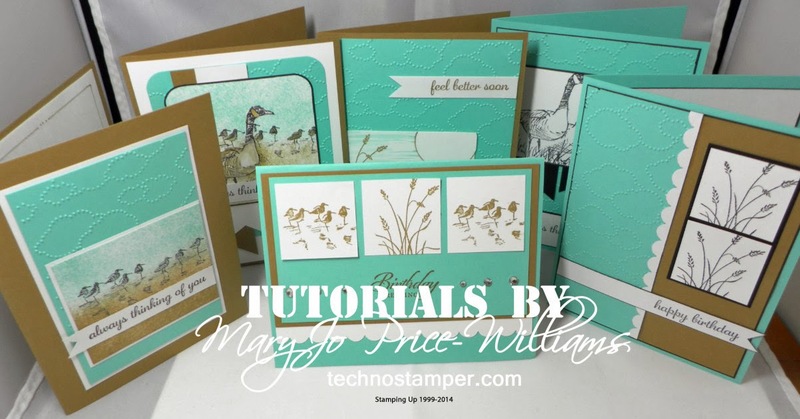 You can get the details on Lisa's blog. I think I am one of the last people to get this flower set! I so love it. 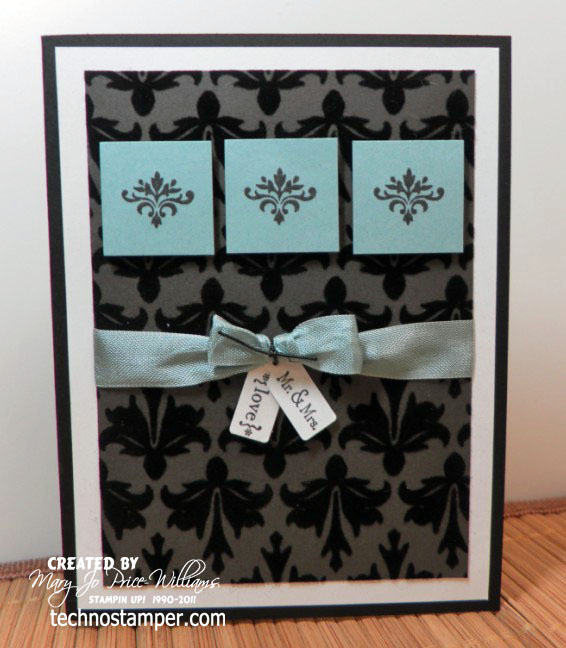 And I combined it with the SAB set you can earn for free - Outlined Occasions. 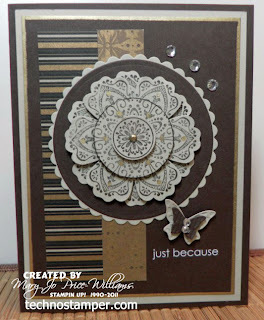 And here is my second card using this as inspiration. You can see the first one here if you missed it. This time I went with the colors-stripes and dots. I really love this flower and since it was still out on my workspace from the 411 card I made I used it again. 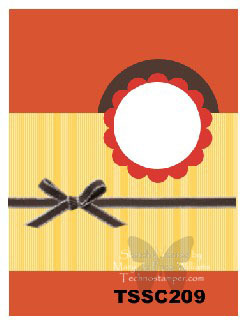 Other: jumbo scallop circle punch, brad, rubon, markers, pleated ribbon. 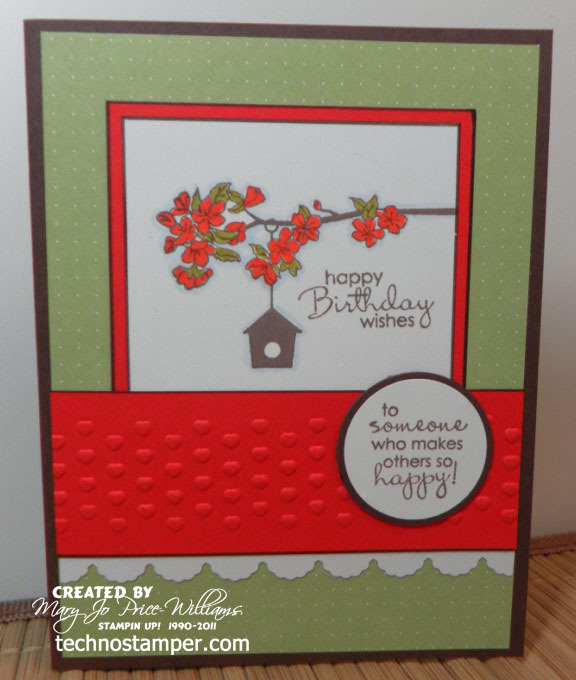 My card also fits the SUO challenge--birthday cards. I kind of like how it turned out. Love that flower image. I had so much fun combining the two challenges. What do you think, isn't this a darling baby card. 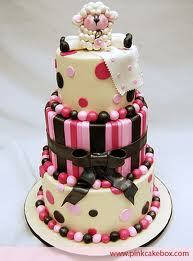 Makes me want to buy the matching cake to go with it, lol! As you may have noticed I switched the circle to the other side so my lamb was not looking off the page! I think it really turned out cute! Stamps: Little Lambs, and can't remember what set the sentiment if from at the moment. 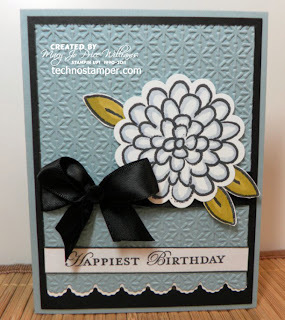 Don't forget this is a blog hop! Add your direct link below and then add the code to your blog while in the edit HTML mode and your readers can play along right from your blog! 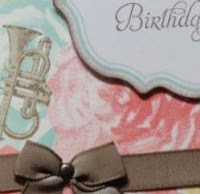 Please keep in mind that this is just a snippet of the whole card and if you click on the images it will bring you to the creator's blog and the full photo along with any details you may want! Be sure to leave a nice comment for them. 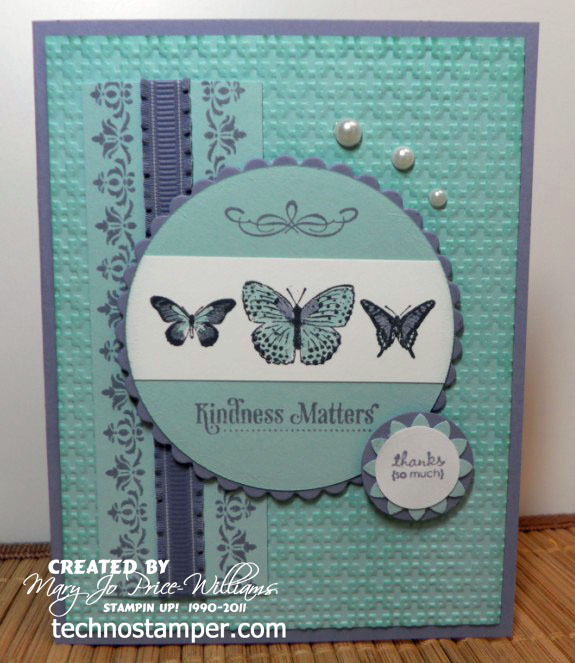 This first card is also using the in colors and the Kindness Matters stamp set that you can get for free during SAB! 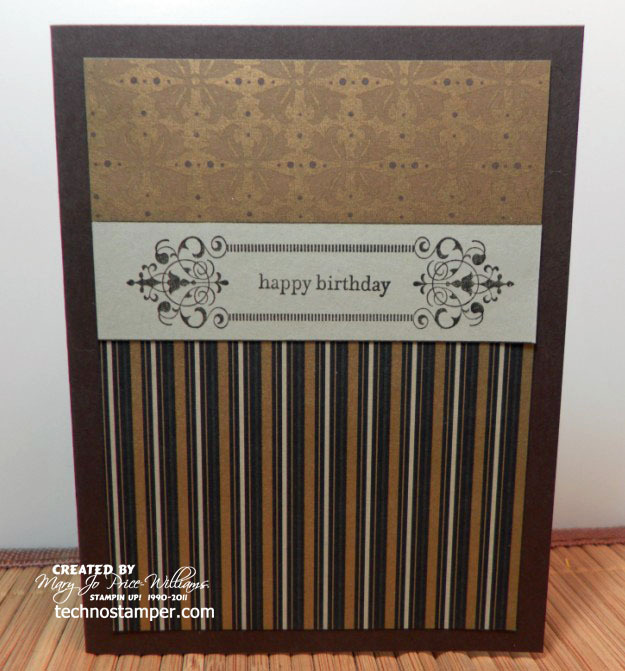 The second card is using the Mocha Morning specialty paper--so pretty. Hope you had a great Valentines day. I did. My hubby bought me the most beautiful roses! Actually this is the second time in eight days. 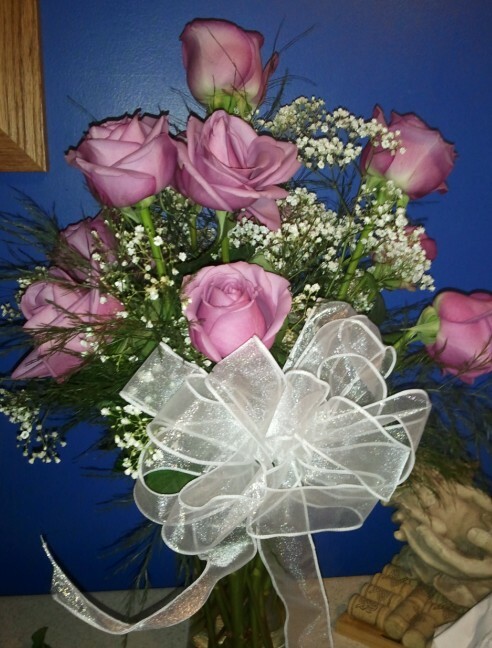 Our anniversary was on the 6th--14 years and this is what I came home to....They were the most beautiful shade of pink I have ever seen. Almost purple. Loved them. 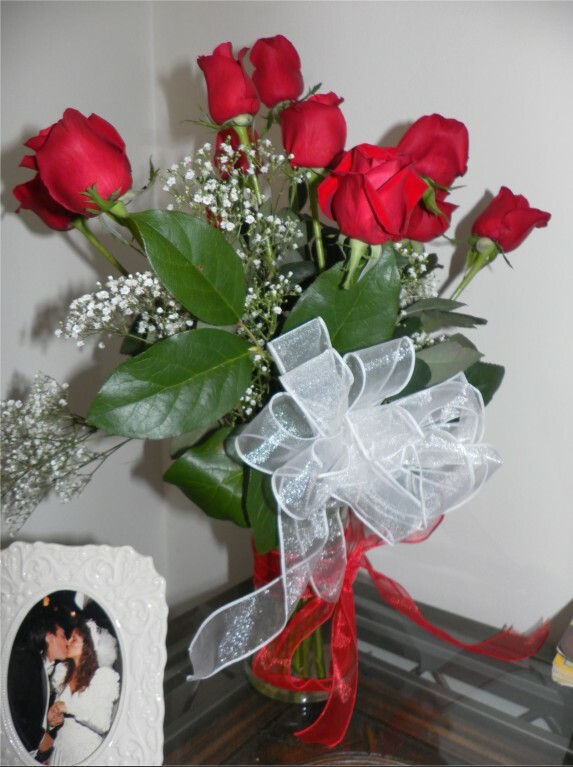 Then yesterday I got these beautiful red roses! Can't decide which are prettier? So yes, I am feeling the love, lol. Since we are talking about love and Valentines day I thought I would share the Valentines my son took to school this year. They are the cutest little underwear boxes with hearts. I added a strip across the top with the words smartie pants! 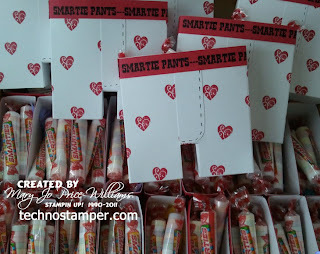 They are filled with smarties. I used my bunny pants tutorial and just made them smaller. Fun--although I was complaining about why I chose these when I was only half way done! But the finished project was really cute. I am just not one to re-do the same thing over and over and over--one time and then lets move on! And the funny part is I just made wedding invites which of course were the same thing over and over again! 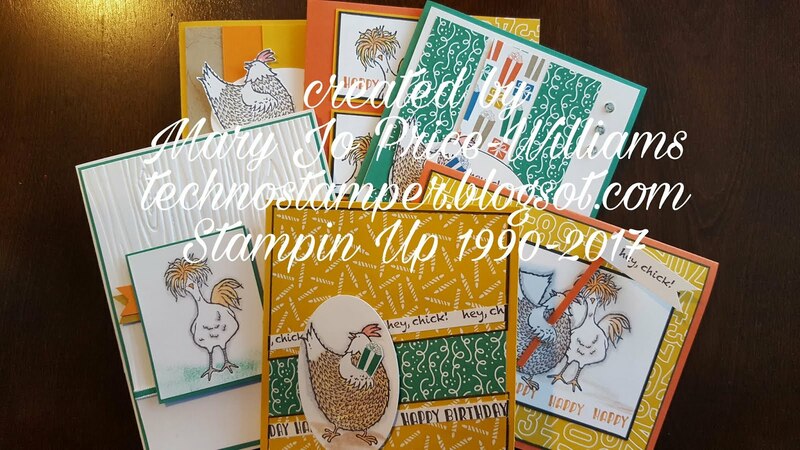 So I am done with that type of stamping for a while--although I was thinking I should make baby announcements for my niece??????? Anyway here are the Valentines ready to go to school with my son.....aren't they cute? Hope you have a great day! Thanks for visiting my blog today. I think this card is much prettier in person--trouble with that stinkin camera again. 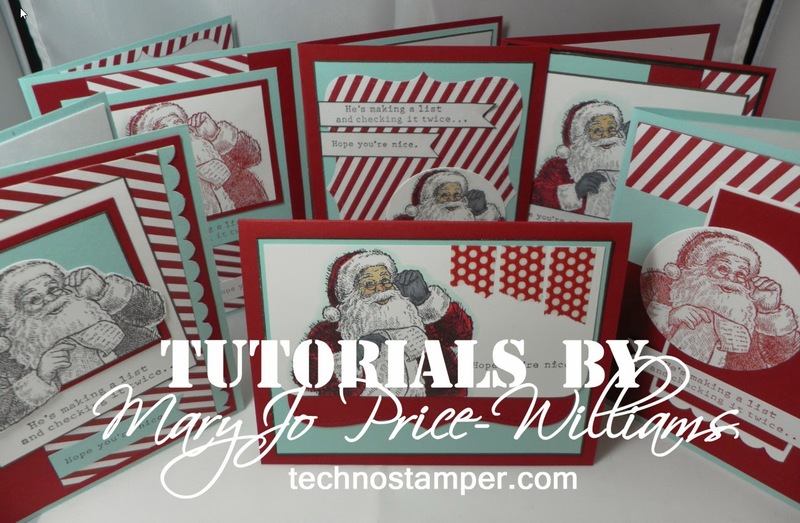 Sometimes I think I should pay someone to do all the blogging stuff--I just want to create--I don't even want to send cards, just make them, lol! Isn't that horrible! I hope you chose to play along this week. 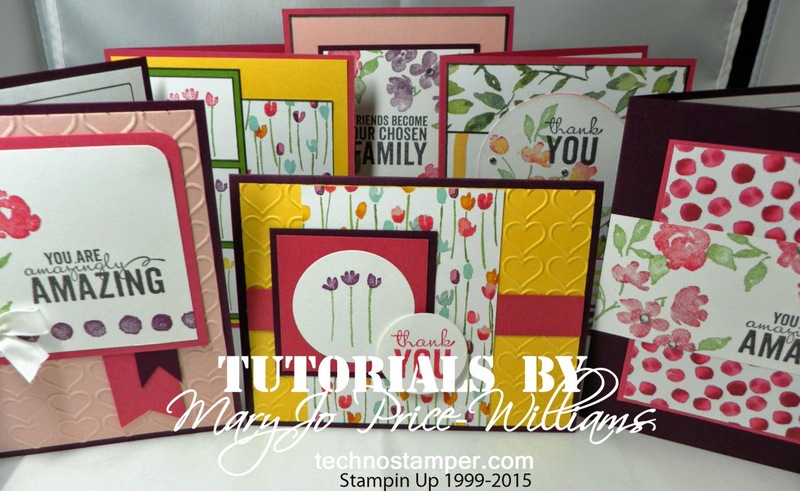 When and if you do--don't forget to come on back and add you sample to the blog hop below. And if you add the code to your blog while in the edit HTML mode your readers can play along right from your blog! 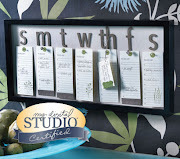 Excited to see your samples this week! Wow, this was one of my favorite week's ever! 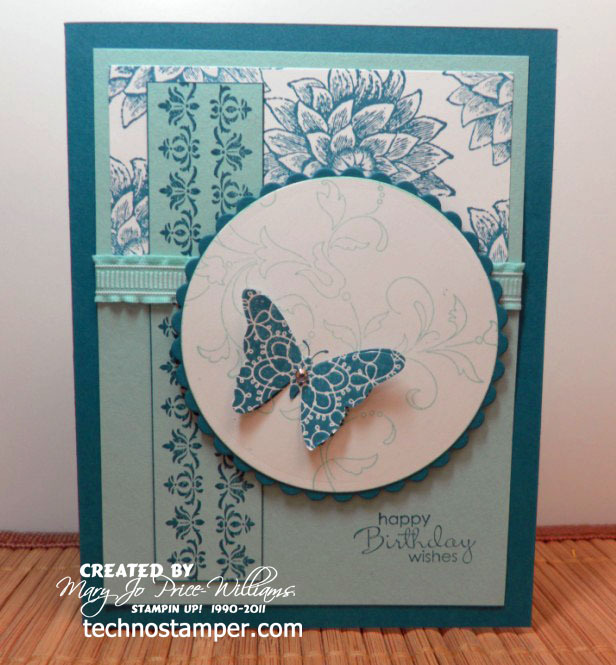 Such fun samples with this simple sketch! Hard time picking three samples. Great job to everyone who played along! Seriously, I loved them all! Here are the top three picks in no particular order. 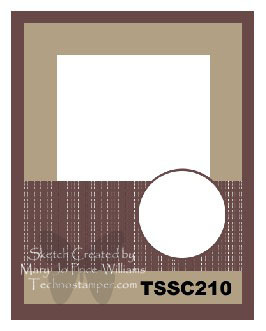 Remember that this is just a snippet of the whole card and if you click on the images it will bring you to the creator's blog and the full photo along with any details you may want! Those really are beautiful don't you think?! I hope you left a comment for them when you visited. It is always so nice to get comments! Does anyone have a HP printer that gives you a paper mismatch error all the time. I am about to throw this silly printer right out the window! Ugggg--I have been working on wedding invites and have NOTHING but problems with this silly printer! I have spent hours and hours trying to figure it out. The weird thing is that every now and then I think it is fixed because it will print one and then it goes right back to the error message. As far as I can figure it is because of some silly sensor that is malfunctioning! Oh well, sorry for the rant. I have so many cards I want to share this week but haven't been able to get them posted so I am taking a break from the invites to post one now! 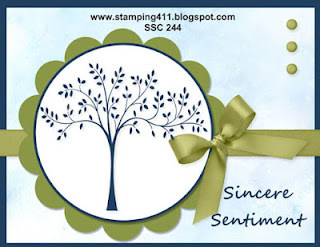 I finally broke down and purchased the Creative Elements stamp set and I am sooooo glad I did. What a pretty set this is. I love the pattern on the butterfly and the way the flower stamps. Just beautiful. And my new favorite color combo Island Indigo and Pool Party. 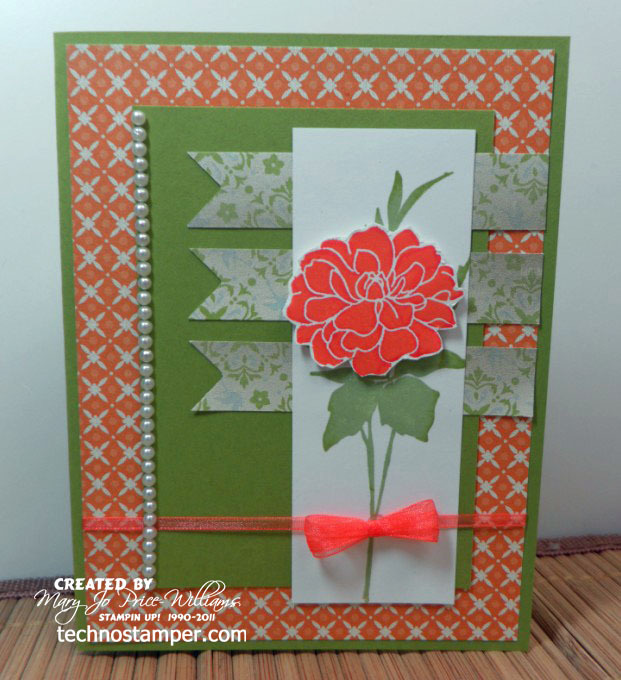 I am also adding this to the challenge folder on Latenightstampers--this week is a girly design--I don't think this would make a good masculine card, do you, lol! Looks pretty girly to me even if it is not pink! 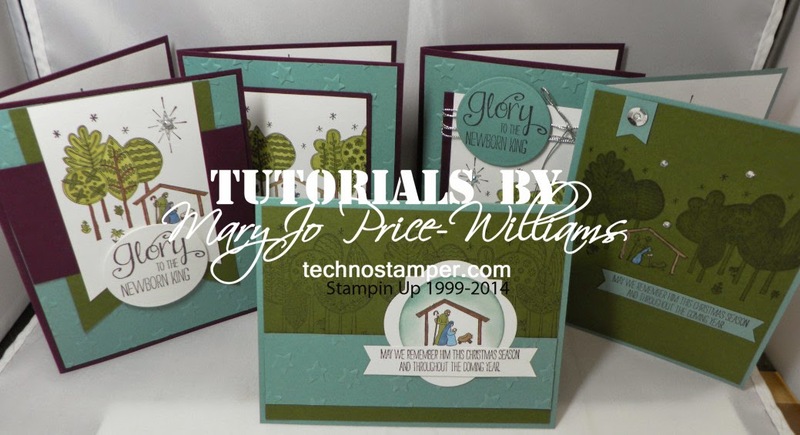 Mary Jo--who is going to think about buying a new printer that is NOT HP! This is the Mocha Morning Specialty paper and it is fabulous! Don't know why I waited so long to buy it. Just beautiful! 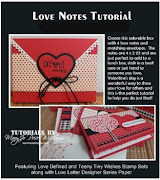 The stamp set is Creative Elements--Love that too! More with it tomorrow. Can't wait to see what you create! Add you direct link below. 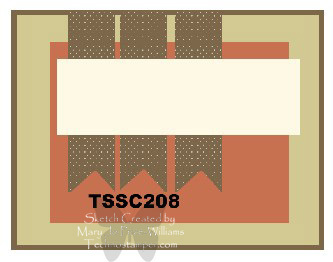 Please consider clicking on each image--it will take you to the original post on the creator's blog where you can leave a comment or get more details. And winners, feel free to add my badge to your blogs. 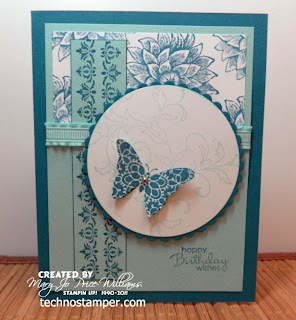 Sketch challenge 206 and Latenightstampers challenge too. It is also for the Latenightstamper's challenge for this week although I think I messed up a bit. It is supposed to be black, white and one other colors. In the lousy light I was working in the grey background looked much darker so I thought I could get away with it still being black--which it kind of is, lol. The other color is Baja Breeze. 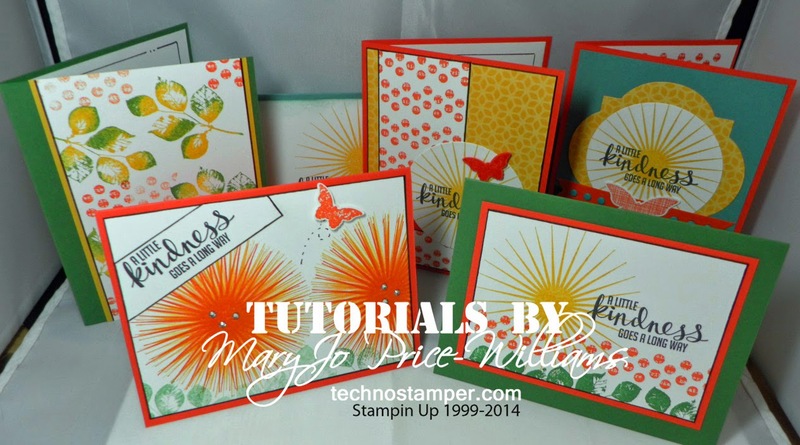 I love the Tiny Tags stamp set with the jewelry punch. 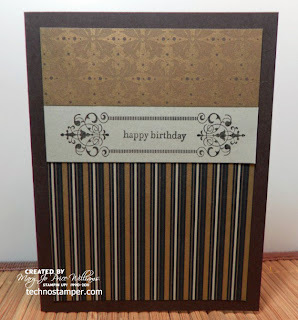 And I finally got some of this Mocha Morning Specialty paper! So pretty and this made for a super simple yet pretty elegant card. Thanks so much for stopping by and visiting me today--see ya again soon!